Yes. 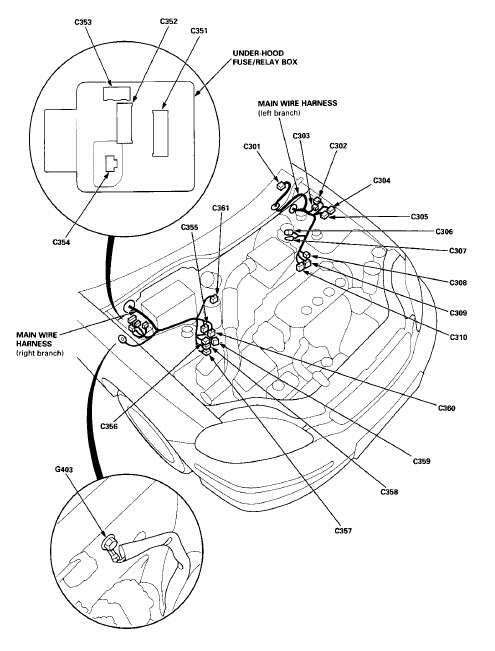 The connectors are plugged into the bottom of the ECU. -Disconnect the pressure switch and (briefly) short the 2P plug terminals with a jumper wire to see whether the clutch engages. 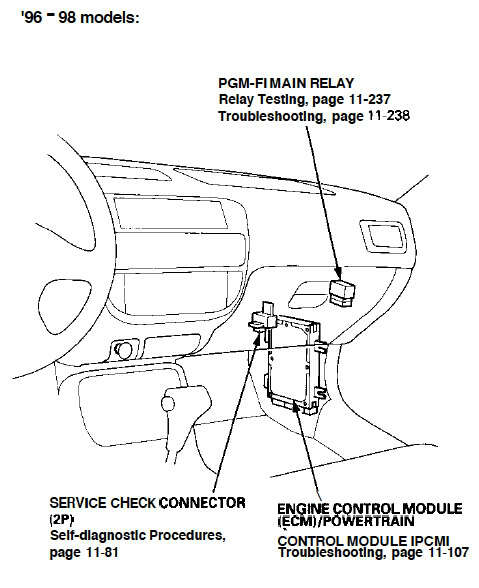 Look at the circuit diagram in post #2. Your results are suggesting that the Blu/Wht wire running between the pressure switch to just below the condenser fan relay is broken. Try to trace wire to locate the break. Just to clarify : Ideally when there is no fault, When I shorted the 2P plug terminals of the pressure switch with a jumper wire, this should have kicked the A/c Clutch? Right? Any suggestions on how to trace this wire? 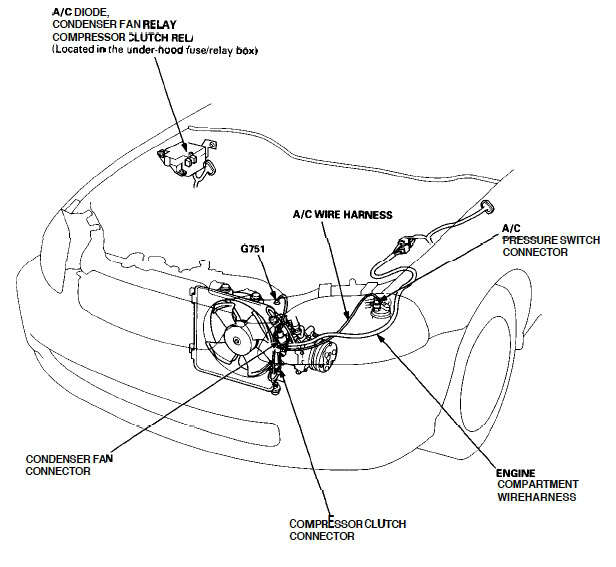 is this a loose wire running in the engine compartment? The A/C should have blown cold just like when you grounded terminal 2 of the unplugged pressure switch connector. The problem could be a broken Blu/Wht wire or a bad hood fuse box. 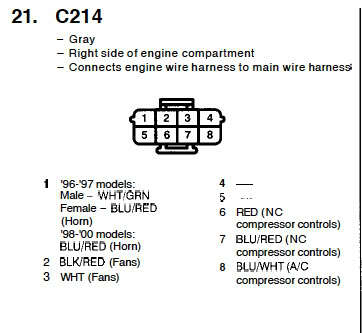 Start by checking for lack of continuity on the Blu/Wht wire between terminal 1 of the pressure switch connector and connector C214, which is plugged into connector C355 (see diagram). Last edited by RonJ; 06-15-2010 at 07:07 PM. Ok; Thanks; I will check the continuity. 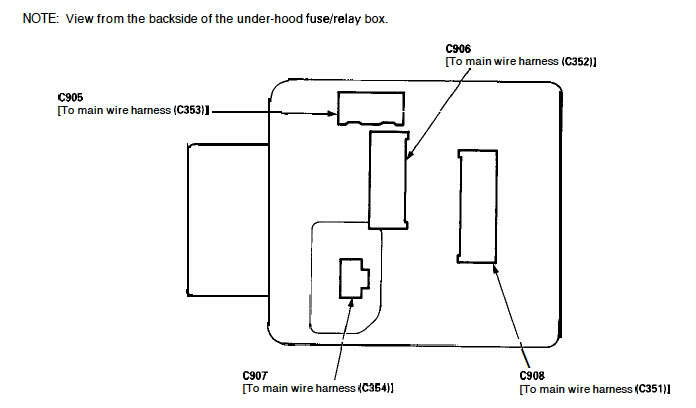 In the meanwhile how do I check/test the bad hood fuse box you have indicated? That's a separate Blu/Wt-Blu/Wht wire continuity test from C355 to C905 (C353) on the underside of the hood fuse box. Last edited by RonJ; 06-15-2010 at 07:32 PM.